Canada's Armed Forces are a special part of the Canadian image globally. These 68 000 + talented men and women are the ones who have participated in almost every UN peacekeeping mission! Domestically, the Armed Forces were hailed as heroes for their extraordinary efforts in aiding the citizens of eastern Ontario and Quebec after the January 1998 ice storm and other emergencies. At the Department of National Defence (DND) and the Canadian Forces (CF), Canadians from all regions and backgrounds work together to serve Canada. provide Canadians with a variety of vital survival services, including search-and-rescue services by air for Canadians endangered by marine or air incidents, or natural disasters such as forest fires, floods, or avalanches. participating in arms control and other peace-building and confidence-building measures. 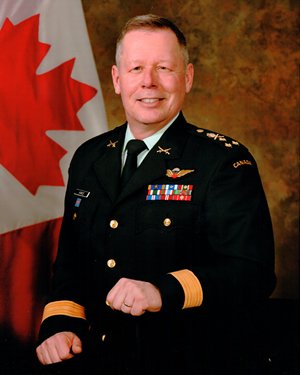 The Canadian Forces protects North America's borders and promotes Arctic security by co-operating with the United States, particularly through the North American Aerospace Defense Command (NORAD). about 20 000 were working in DND's civilian workforce. Many sectors of the Canadian economy benefit from supplying the Canadian Forces with a wide range of products and services. Between April 2008 and March 2009, the Canadian Forces spent $18.9 billion on equipment and personnel. In its 1994 Defence White Paper, the Government made a strong commitment to fostering the overall industrial growth and the international competitiveness of Canadian firms in ways that are consistent with international trade agreements. Since then, we at DND have worked closely with Industry Canada and the Department of Foreign Affairs and International Trade to provide strong international marketing support to Canada's defence industry. The military's regular and reserve personnel live, train, and work in every province and territory, serving at 25 CF bases, wings, and stations. Bases are often located in or near smaller Canadian towns and cities, and provide economic and social support to these communities. CF personnel volunteer in many community organizations, working with civilians and making an important contribution to the local quality of life. As members move from base to base, and from one region of the country to another, they share the richness and variety of life in Canada with the communities where they serve. Canadians often see reservists (from the army (militia), naval, air, and communication reserves) taking part in training exercises at 341 reserve units across the country. As well, more than 50 000 young Canadians participate every year in the Cadet Program, which teaches them responsibility, life skills, and co-operation, and which introduces them to youth from all parts of Canada. The Cadet Program is a federally sponsored national youth training program for 12- to 18-year-old girls and boys. 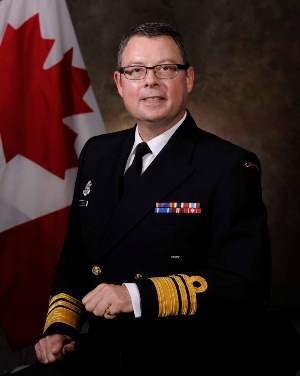 It is aimed at developing good citizenship and leadership, promoting physical fitness, and stimulating the interest of youth in the sea, land, and air activities of the Canadian Forces. The program is conducted in partnership with the Navy League, the Army Cadet League, and the Air Cadet League, which provide local sponsors for each corps or squadron, while DND provides regular-force and primary-reserve support as well as some 6000 officers of the Cadet Instructor Cadre. The Ranger and Junior Ranger Programs give the CF a community-based presence in the North, as well as on the east and west coasts. There are more than 4600 rangers who report unusual activities and collect local data of military significance. The rangers also conduct sovereignty patrols, and can defend their communities until troops arrive. They can then act as guides for those troops. The rangers also assist in search-and-rescue operations.